Back in 2008, A2A Simulations released an aggressive concept to FSX add-ons with the Accu-Sim Boeing 377 Stratocruiser. 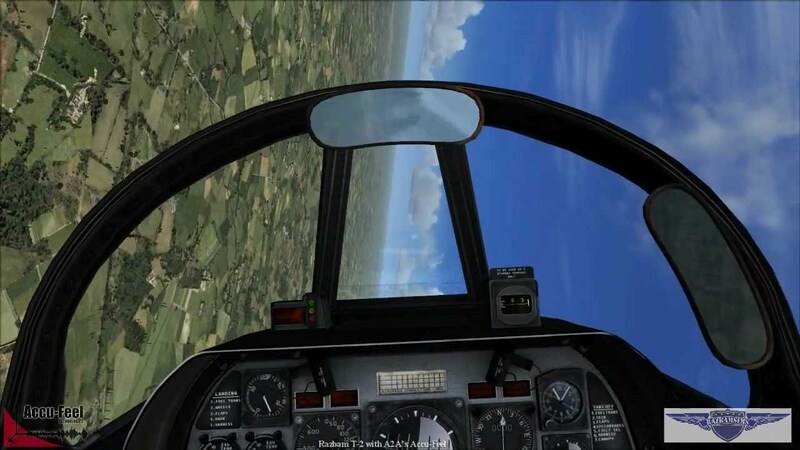 Accu-Sim bypassed the entire guts of the aircraft systems and replaced them with its own coding, providing a level of realism which FS fans were not used to. We were concerned that most would not want this high level of authenticity, so we offered the aircraft in two packages: the aircraft and it’s Accu-Sim expansion pack. This way, those who just wanted a beautiful aircraft to look at and fly without the deep modelling, could have it. Those who wanted more could have that too. We estimated that 1 in 5 would opt for Accu-Sim, but to our surprise, 4 in 5 did from the first day it was released. This started what we now call the 'Accu-Sim Revolution'. Well, over the years and now with all this technology behind us, we found a way to get what we call 'A touch of Accu-Sim' to FSX. In early 2012 we released this new concept, and called it 'Accu-Feel'. The name Accu-Feel was chosen because this best described what this product does. 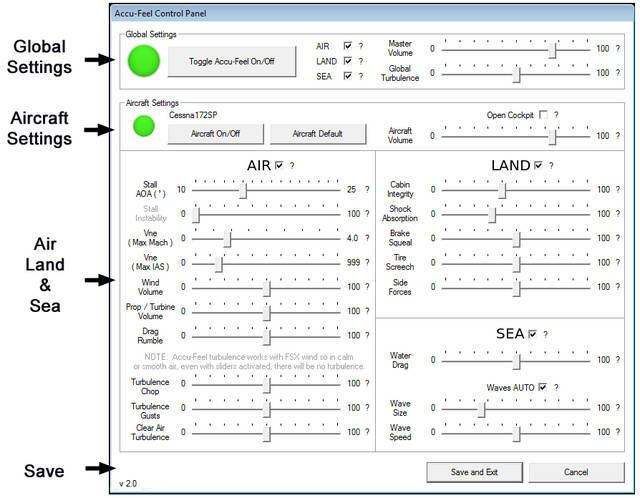 We managed to hook into the lower core of FSX using our Accu-Sim technology, and were able to make things happen without touching a single file in the FSX directory. This was critical because the program had to work in a way without interfering or altering third party content. 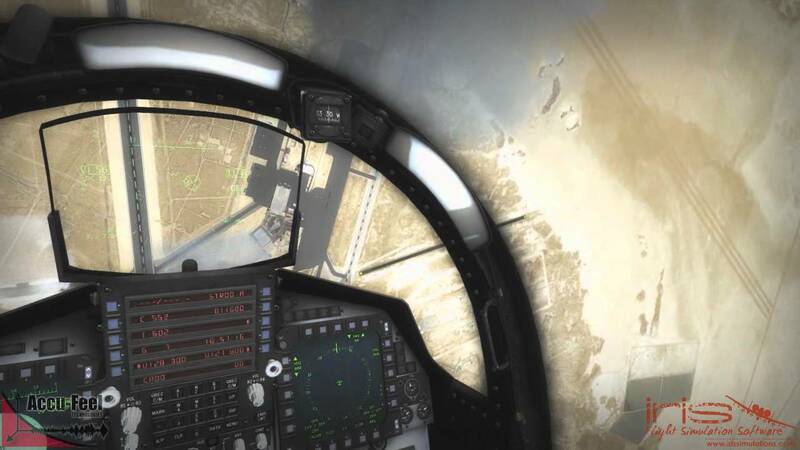 Our goal was to allow Accu-Feel to intelligently set itself up for any aircraft, yet also allow the customer the final say on everything by way of an easy-to-use in-game user interface. Accu-Feel launched out of the gates unlike anything we have ever released before. It rocketed to #1 in online stores and just sat there for months. Today, almost one year later, it remains in the top ten. The reason is simple – customers/pilots were having fun with an all-new, powerful sound system and how it translated physics back to them. They also appreciated a program that worked hard for them, so they could just fly. And technically, Accu-Feel was solid and reliable. We had a winner. Now we have the next generation of Accu-Feel, version 2, Air, Land and Sea. A quick read of this manual will show a lot of new and exciting features that we hope you come to love as much as we did in making the software. 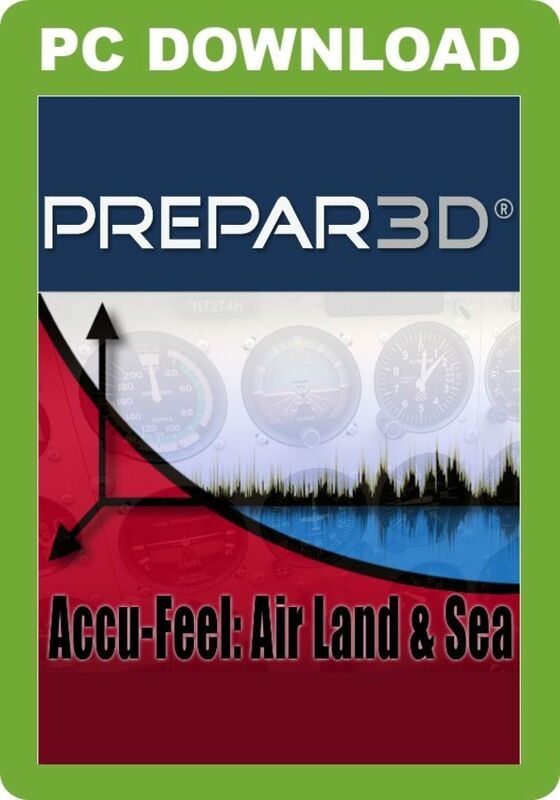 Works with almost all P3D aircraft - tested with both default and over forty third party aircraft. Note: Helicopters not supported. Dynamic tyre screeching and rub sounds tied into the physics of each tyre, which makes every landing not just feel different, but sound different. 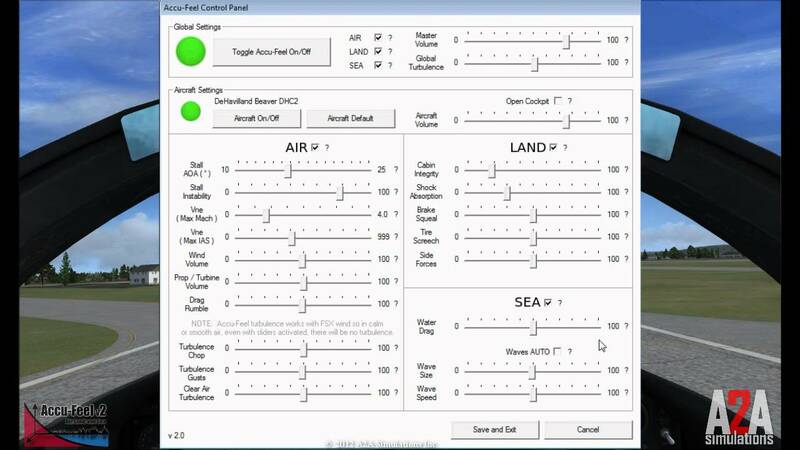 You have more feel for exactly how well you are controlling your aircraft, both big and small. New side forces add even more dynamics when side-loading the landing gear. Enhance the realism of the aircraft you fly in P3D v4.1 Academic with A2A's Accu-Feel utility, which will set itself up intelligently for any aircraft but allow you the final say on everything by way of an easy-to-use in-game user interface. Built using the Accu-Sim physics-driven sound system, Accu-Feel enhances ground and water physics, adds dynamic tyre sounds, brake squeals and vibrations, dynamic wind, turbulence modelling, fuselage drag rumble, new cabin sounds and more!